Suites of criteria specifying ecological, biological, social, economic, and governance properties enable the systematic identification of sites and networks of high biodiversity value, and can support balancing ecological and socioeconomic objectives of biodiversity conservation in terrestrial and marine spatial planning. 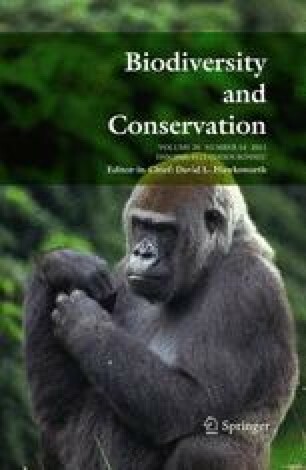 We describe designs of suites of ecological, governance and socioeconomic criteria to comprehensively cover manifestations of biodiversity, from genotypes to biomes; compensate for taxonomic and spatial gaps in available datasets; balance biases resulting from conventionally-employed narrow criteria suites focusing on rare, endemic and threatened species; plan for climate change effects on biodiversity; and optimize the ecological and administrative networking of sites. Representativeness, replication, ecological connectivity, size, and refugia are identified as minimum ecological properties of site networks. Through inclusion of a criterion for phylogenetic distinctiveness, criteria suites identify sites important for maintaining evolutionary processes. Criteria for focal species are needed to overcome data gaps and address limitations in knowledge of factors responsible for maintaining ecosystem integrity. The online version of this article (doi: 10.1007/s10531-011-0116-y) contains supplementary material, which is available to authorized users. Preparation of a working paper, Towards a System of Networked Protected Marine Turtle Habitat Sites in the Indian Ocean—South-East Asian Region (IOSEA 2010), co-authored by E. Gilman and Douglas Hykle of the IOSEA Marine Turtle MoU Secretariat, provided the initial impetus for this research. We are grateful for assistance in inventorying the GBIF data portal provided by Tim Robertson and Andrea Hahn of the Global Biodiversity Information Facility Secretariat, and Jörg Holetschek of the Botanic Garden and Botanical Museum Berlin-Dahlem. Insightful peer reviewer comments improved the final article.